Can you and your partner help each other get messy with clay and make a memorable pot? 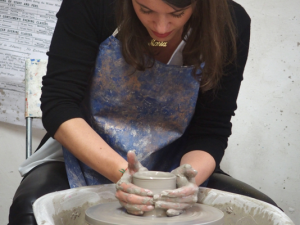 Get a 20% discount by booking online for a bespoke 1-to-1 pottery class with our ceramics experts. 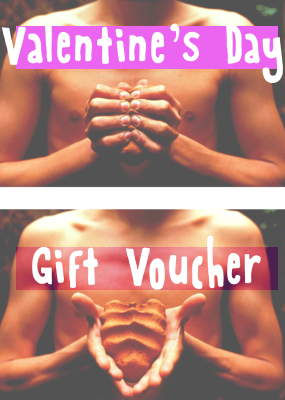 Use code KSLOVE17 on checkout. This special offer is valid for all 1-to-1 bespoke pottery bookings made between 6 and 17 February for dates until May. A 1 hour booking costs £52 per couple (usual price is £65 for 2 people). Your piece will be fired and ready for collection in 3-4 weeks. The clay needs time to dry properly! What’s Covered in the Session? You’ll be shown how to throw a pot on the wheel. 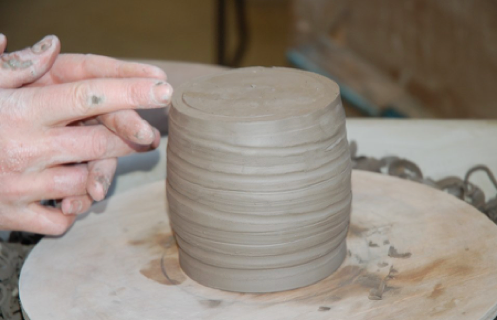 After a few throws, we’ll help you create a single pot on the wheel. You’ll then spend time afterwards decorating it using decorative slips and sponges. We’ll fire and glaze it for a permanent ceramic finish and it will be ready to collect from the studio 3-4 weeks later. A full demonstration is given at the start of the workshop and so is ideal for the complete beginner. In order for you to have the piece ready in one session, we accelerate the drying with heaters so that you can decorate your piece with slips. We then bisque fire and glaze fire the work with a transparent glaze, so that it’s ready for you to pick up in 3-4 weeks.